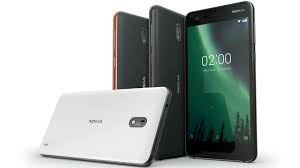 One of the latest Nokia Phones, Nokia 2 has started receiving a new software update. This recent update will enhance the Nokia Android security patch. The update is to be first launch in India fo now . The following Nokia Models are included for the updates: TA-1011. which comes days after the Nokia 6 (2018), Nokia 7 Plus, and Nokia 1 received the April Android security patch. Google released the latest Android security patch for Pixel and select Nexus devices earlier this month. The latest update for the Nokia 2 doesn’t include any noticeable changes, though it brings the new Android security patch, as reported by NokiaPowerUser. You can check the availability of the fresh update by going to Settings > About phone > Software updates. It is recommended to back up your data before proceeding with the update process. Importantly, the April Android security patch comes in two security patch levels that both address various system-level vulnerabilities, ranging from high to critical. The most severe issue that the latest patch fixes a critical security vulnerability in Android’s media framework that could let a remote attacker silently execute arbitrary code using a “specially crafted file”. Google claims that there are no reports of active customer exploitation or abuse of the newly reported issues. Launched in October last year, the Android Nougat-based Nokia 2 sports a 5-inch LTPS HD (720×1280 pixels) display and is powered by a quad-core Qualcomm Snapdragon 212 SoC, coupled with 1GB of RAM. The smartphone has an 8-megapixel rear camera sensor with an LED flash and a 5-megapixel front camera sensor. Besides, it packs a 4000mAh battery that is touted to deliver up to two days of power on a single charge.